Birth is a normal experience driven by thousands of years of evolution. Fundamental to the success of this process is the release of essential hormones including our best friend, oxytocin. Providing information on how to encourage the production of these hormones that contribute to a normal birth experience underpins our philosophy and course delivery. Equally, we recognise that occasionally even in nature things can go wrong so our classes also seek to help you better understand the reality of 21st century birth; so you can understand when there is a need for medical support and how to remain relaxed and still feel in control if you need it. In short, we strive to provide women and their families with information that empowers them to make informed choices and trust their instincts, both in birth and early parenting. We will provide you with practical tools that you can use to support you in achieving these outcomes. 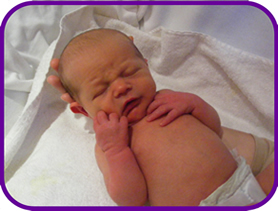 Jenefer and Becky are qualified and registered midwives working in local trusts. They both gained a First Class degree in midwifery from the University of Leeds and Hypnobirthing diplomas with Katherine Graves from the Hypnobirthing Association. In her role as a midwife, Jenefer is an active student mentor,and RCM Health and Safety Representative and plays an active role in her local RCM branch. In order to further her knowledge, she is currently undertaking an MSc in Midwifery at the University of Central Lancashire. Becky has been a peer supporter since 2005 and a breastfeeding counsellor with the Association of Breastfeeding Mothers since 2006 and now a lactation consultant. In her role as a midwife, Becky is also an active member of the local RCM branch, being both Learning Representative and branch secretary. Jenefer and Becky have been teaching hypnobirthing to expectant couples since 2013 and running study days for student midwives and aspiring student midwives since 2015. Both have had articles published in midwifery journals. Jenefer’s background is in music and she holds a First Class degree in music and diploma’s in flute teaching and flute performance. 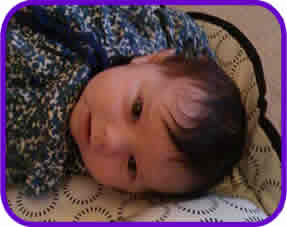 She lives with her husband and daughter in York and her interests outside midwifery and birth are: spending time with family and friends, reading and film. Becky enjoys spending time with her large family, amateur dramatics, walking the family dogs and looking after the family collection of pets!